young Palestinian as a second cameraman from a local TV Station in Gaza City to come with me. 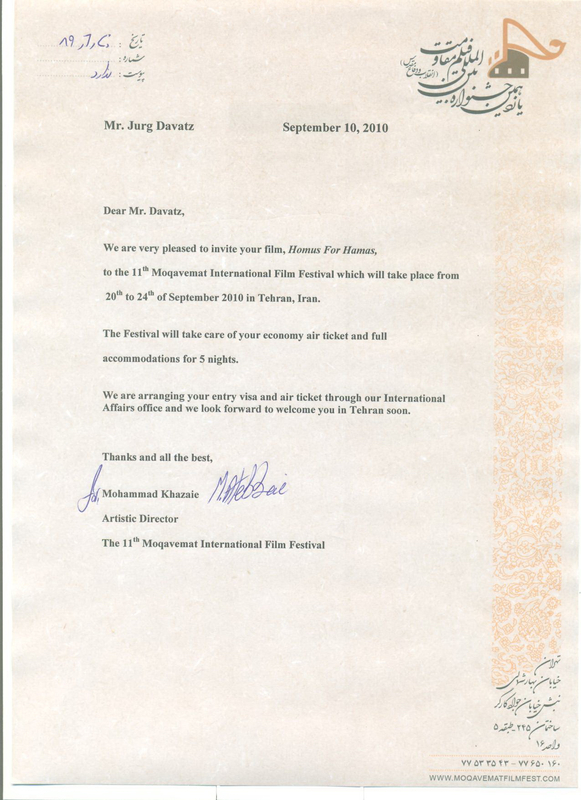 Some weeks ago, as I prepared my bag to go to Greece, I had an email on my desk, inviting me to present HUMUS for HAMAS at the 11th MOQAVEMAT Intenational Film Festival in Tehran from 20-24 September 2010. Time was short, just one day before my departure, Mohammad, the director from the Festival told me to send them a DVD copy to Tehran immediatly and gave me the code for DHL whose courier picked it up some hours later at their expense. To get a visum for Iran is no easy matter these days. But when you sit in a small fisher village in the East of the Peloponnes with only one old passport foto and unable to sign the visa application it looks remote.On top of it they told me it takes at least 3 weeks to get the required visum number from the Foreign Ministry in Tehran and I had only one week left. But Mohammad worked wonders, within a few days he mailed me the code with which I had to apply for the visum in Bern, Switzerland. A couple of thousand km away from Bern and my visum I contacted Riahi Travel in Zurich and asked if Mr. Riahi could work another wonder. Well he said, times were short of wonders but he would do his very best. 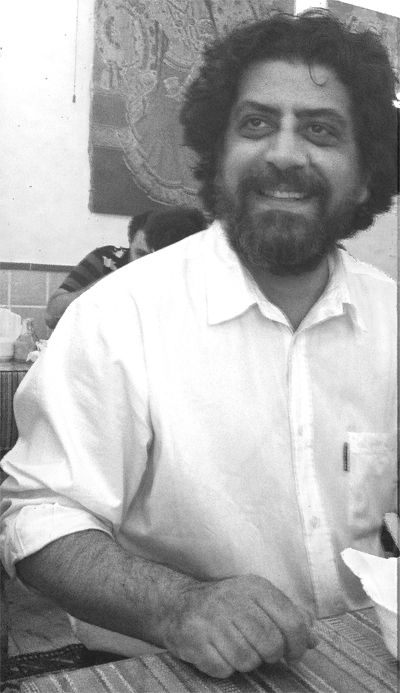 I scanned my old and crumpled passport foto with my iPhone 4 and mailed it to him. I guess, I don’t have to continue, Mohammad, Mr Riahi and the Iranian Embassy worked many more wonders… and I’m on my flight to the 11th MOQAVEMAT Film Festival in Tehran as an invited filmmaker with HUMUS for HAMAS.